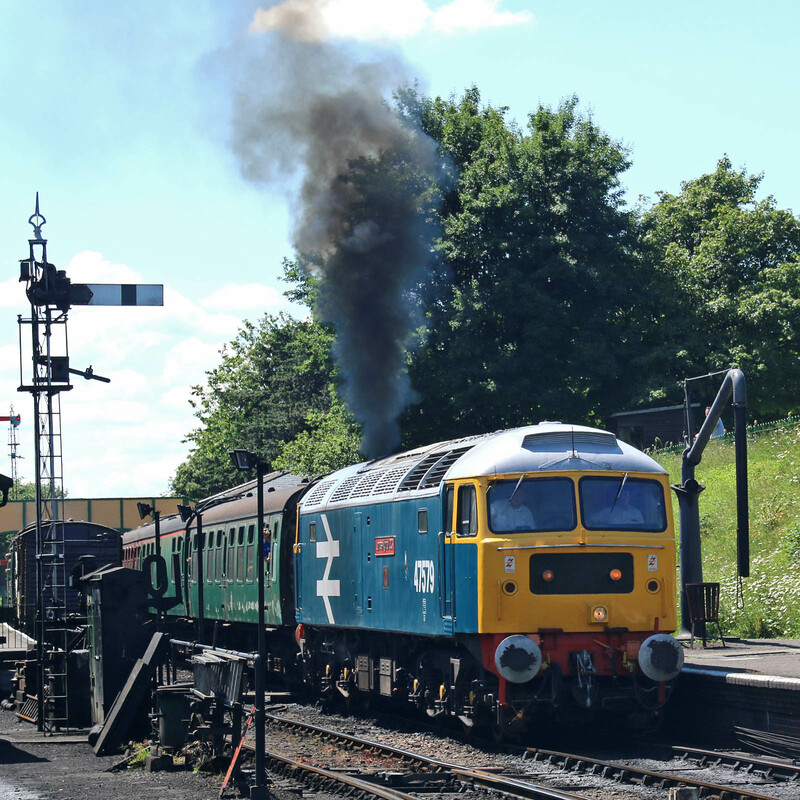 47579 James Nightall GC departs from Ropley. New as D1778 on 23rd October 1964 to 41A Tinsley. Renumbered to 47183 in February 1974, ETH and renumbered to 47579 in March 1981, then to 47793 in December 1995. Withdrawn in March 2004, and preserved at Mangapps Farm from March 2007. Vacuum brake reinstated over the recent months. 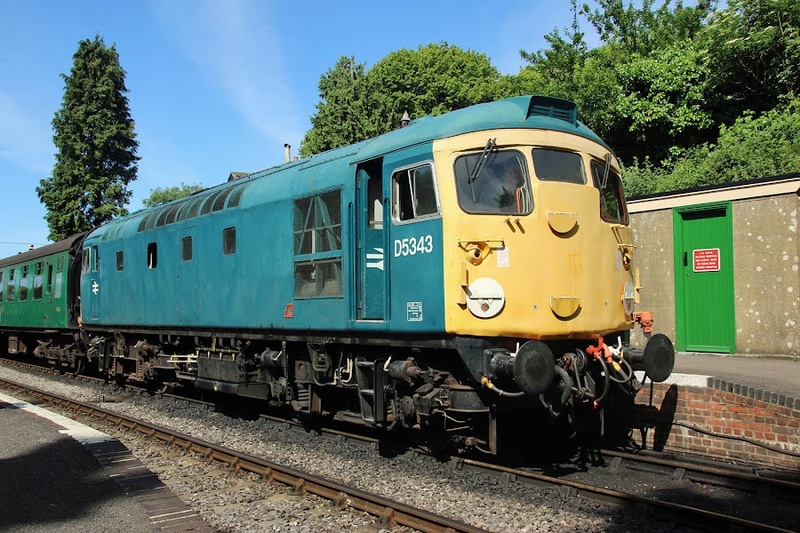 5343 (26043) at Medstead - profiled last year when at Swanage. 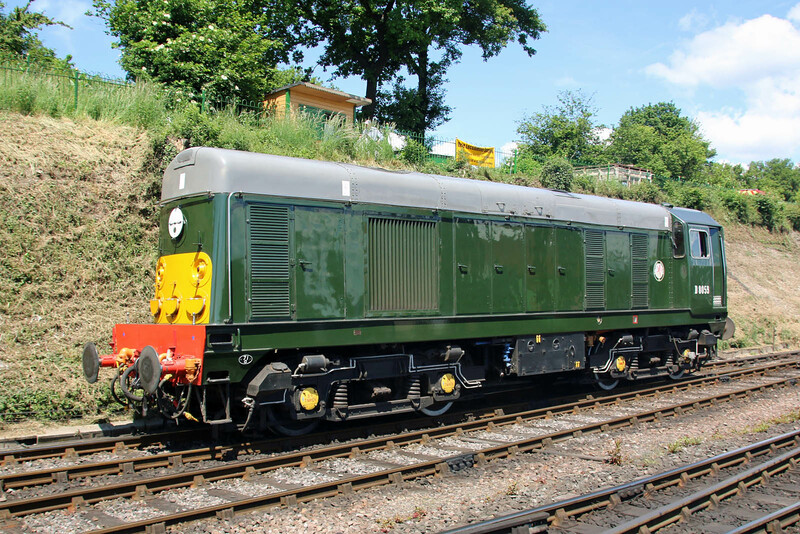 D8059 (20059) at Ropley - similarly profiled last year. 03197 running around at Ropley. 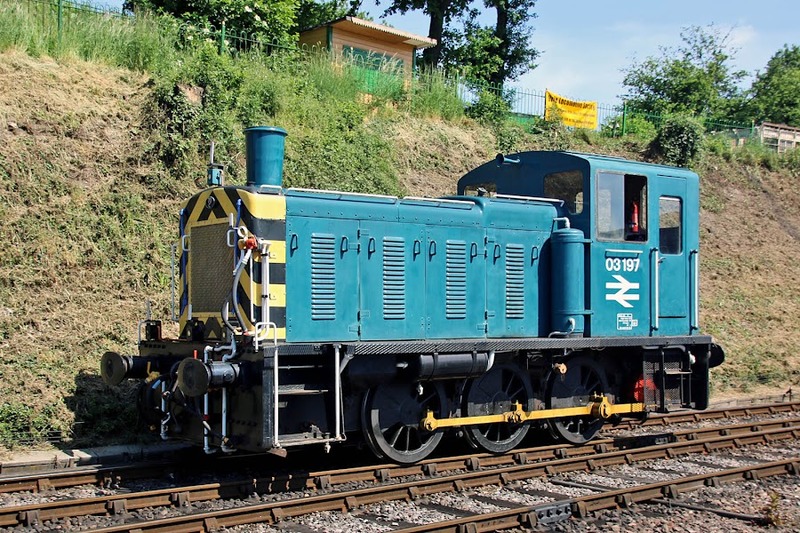 New in June 1961, and withdrawn in July 1987.